will not only mark his Pakistani silver screen debut but is also the first project for his production house, Lightingale Productions. Helmed by ad-film-maker, Ahsan Rahim and co-starring Maya Ali, Javed Sheikh, Mehmood Aslam and Faisal Qureshi, to Zafar, the film and banner are both his contributions to the prosperity of Pakistani cinema. 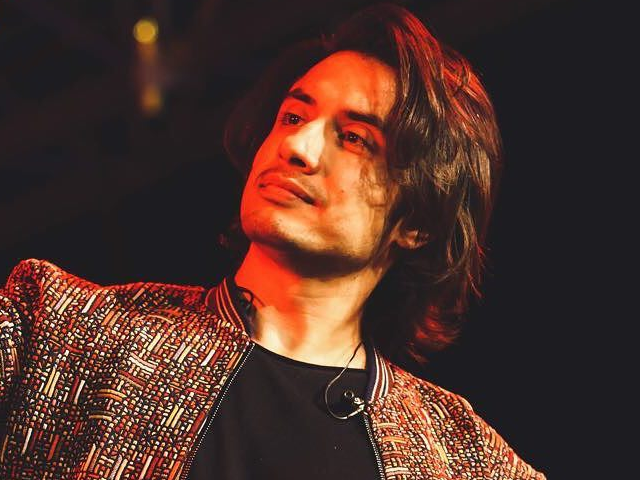 Naturally, Zafar has also composed and sung all the tracks for the film. “I think it has to be believable, for instance whenever Maya sings in the film, it’ll be Aima Baig, not five different voices,” he told The Express Tribune. With the film’s musical offering, the Channo crooner hopes to give hit songs that he finds missing in the new wave of local cinema. “I wanted every song to be a movie-hit song. Every song should be immediately catchy, hummable and for the listeners to feel it. And that’s how I write most of my music. Addressing the elephant in the room, the Tere Bin Laden star also opened up about his ongoing legal battle with fellow musician Meesha Shafi. So we kept having these discussions and I knew if I were to make my first film ever, it would with him. Over the years we kept exchanging ideas, but then Teefa came to me over a masalay-daar khana (spicy food) in androon (interior) Lahore. I instantly told him and he got very excited and from then, the story kept developing.